Apartment Luzi is located in a housing complex that was built during the end of the 19th century. This complex, now a vacation rental, is centrally located, in the heart of Florence City, on the banks of River Arno, close to the Duomo of Florence, one of the most well-known Cathedrals in Italy. Apartment Luzi is located in the third floor. It is fully air-conditioned and tastefully furnished. It is spread over an area of 60 sq. meters, and has provisions to accommodate 3 guests. The apartment has a living room with 2 comfortable sofa-beds, a well equipped kitchen, 1 bedroom with a 1 single bed, and 1 bathroom with a bathtub. All the rooms in this rental apartment have wide windows, offering the quests a lovely view of Florence city, and making the apartment bright and airy. The rooms are also equipped with appropriate furniture, making the guests’ stay comfortable and convenient. 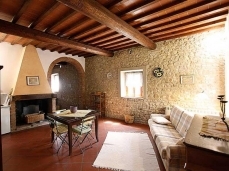 Apartment Luzi is situated close to many tourist spots, ideal for Italy tours; the famous old Bridge, the Fortezza Da Basso where popular art exhibitions are held and other renowned landmarks are within walking distance from the apartment. 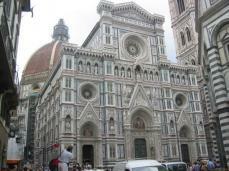 Of all the provinces in Italy, Florence has the repute of attracting the maximum number of international tourists. 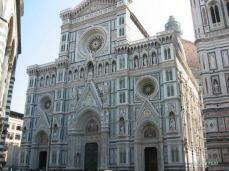 Art exhibitions and cultural festivals are organized all through the year in the city of Florence. The numerous city squares become effective stages where music, dance and plays are performed during the summer months. Tourists can have enjoyable evenings outdoors, viewing cinemas projected on screens set against the facade of villas while sampling Tuscan delicacies.